The Italian was sacked by the champions. Leicester could drop into the relegation zone before they play Liverpool if results go against them over the weekend. But Shakespeare is confident Leicester have enough quality to secure their survival in the remaining 13 games. Two years ago, under Nigel Pearson, the Foxes won seven of their last nine games to survive, having been bottom and seven points adrift of the safety line. “It would be nice to get that again. It was a great time then in terms of we were written off,” he said. “There is enough talent in that dressing room for us to go on a winning run. “There’s frustrations with everybody, coaching staff, players, and I think there’s lots of reasons why. “This squad are good enough to get themselves out of this — that will be the message. 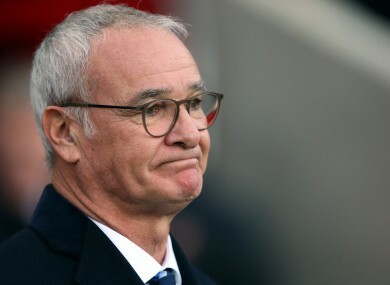 Email “Ranieri returns to Leicester training ground for one final time to say goodbye to players ”. Feedback on “Ranieri returns to Leicester training ground for one final time to say goodbye to players ”.